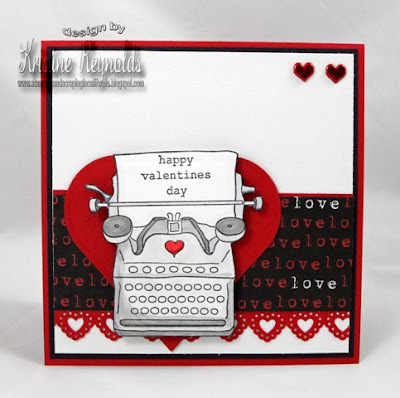 The Rubber Cafe Design Team Blog: Valentine - Hearts Abound! 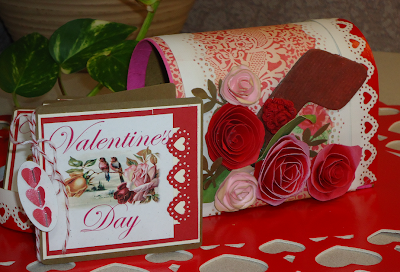 Happy Valentine's Day Everyone!! 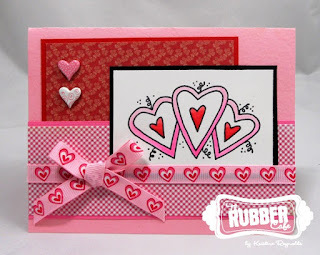 As a special treat today - we have a bunch of Valentine projects to share with you coming from the whole Rubber Cafe' Design Team and Glueista's! So grab your favorite beverage and enjoy! 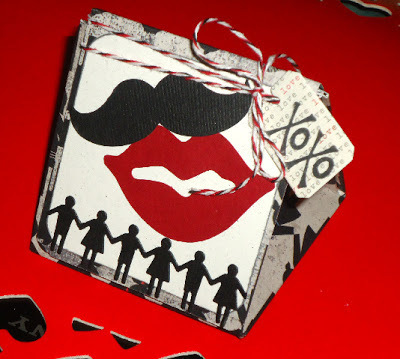 This is our treat to you!! 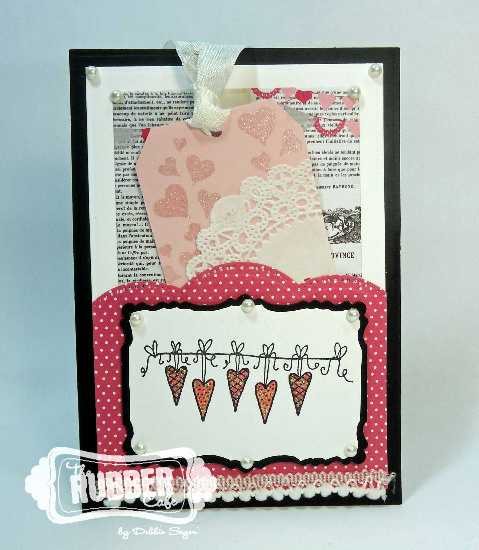 To kick things off Design Team member Kristine Reynolds has a couple of cards using the 'Just My Type' set from The Rubber Cafe'. 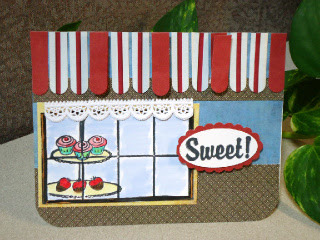 Karen Thede created this card - using the Sweet! 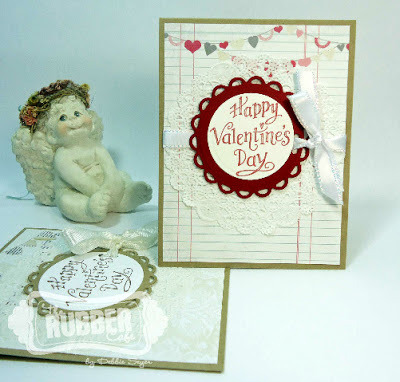 set - perfect for Valentine's Day or a Birthday! 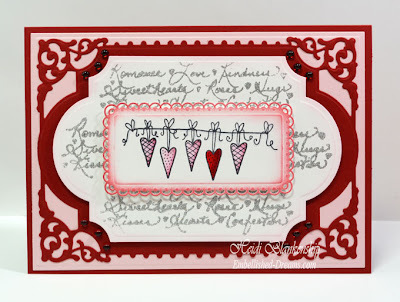 Next Debbie Seyer, has created some of Cupid's cuties, featuring our Happy Valentine's Day outline phrase stamp. Karen Thede created this Valentine paper mache mailbox - that holds 3 x 3 Valentine notes inside. 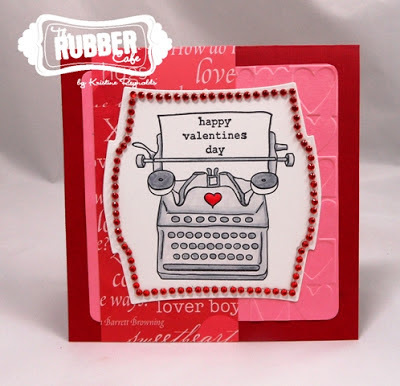 The cards are made with free downloaded Vintage phrase, and inside stamped with a Happy Valentine phrase from The Rubber Cafe' inside. 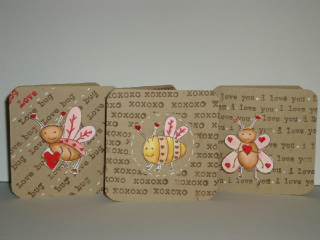 Background phrases came from the Love Bug set and the Just My Type. 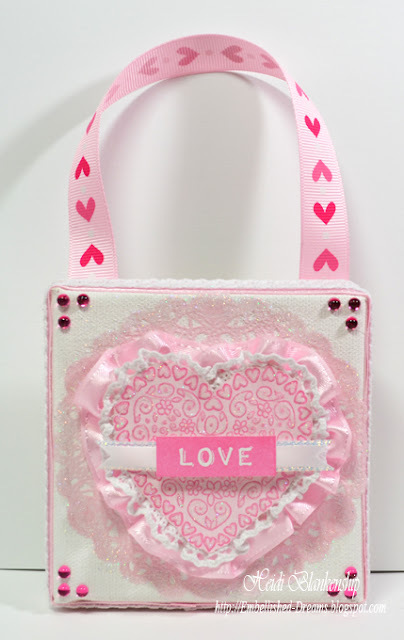 Here's another project from Heidi, this sweet canvas Heart is sure to make anyone happy on Valentine's Day or any day!! 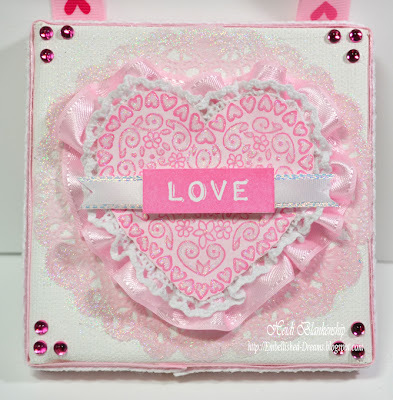 Featuring the Floral Heart stamp set, this is definitely Pretty in Pink! Here's another card from Debbie, this sweet little number features a tag in a card and the Heart Strings stamp! 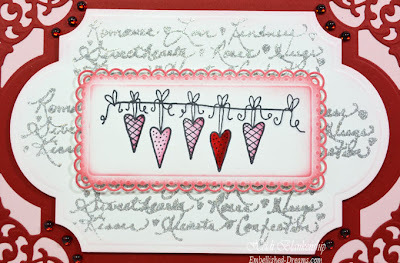 Here's a card Kristine created using the Party Hearts set! 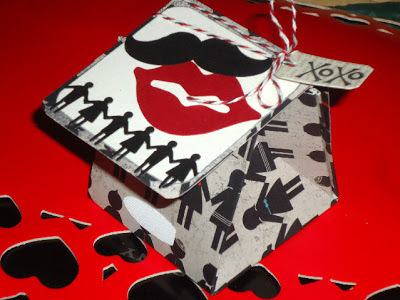 Next - Karen Thede created another Triangle Treat box- this time making it 3 x 3 instead of a 2" she shared at Christmas. It was easy to increase the size, just by increasing the beginning square piece from 6" to 9" inch square - however big you want your treat box, just multiply that by 3! A 4" Trianglular box would need a full 12 x 12 sheet of paper. The paper mustache and lips - were cut using the Cameo Silhouette and the tag stamped with the Small 'XOXO' stamp from The Rubber Cafe'. Here's a view of it open, Velcro closures(also can be found in the Rubber Cafe store) keep it snug and tight so your candy kisses won't fall out! That's it! 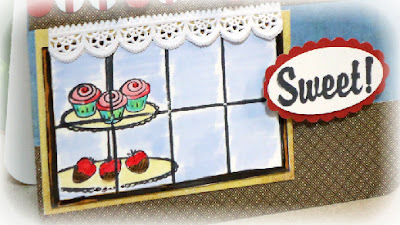 Thanks for joining us today - I hope you enjoyed our treat Rubber Cafe' style!